Purdy is a forgotten author of instructional books. 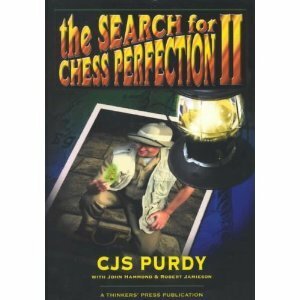 IM Jeremy SIlman said of this book, “this book offers more key advice and instructional punch than a dozen other books sitting on a bookstore's shelf.” Purdy had the unique ability to communicate chess in words without using reams of analysis. Clear-cut instruction is the term that comes to mind. Purdy was a master player, outstanding teacher and the first World Correspondence Champions. Originally titled, C.J.S. Purdy His Life, His Games and His Writings, this book which is actually a compilation of Purdy’s magazine articles is great because you don’t have to start at the beginning; you can open it to any page and learn something. 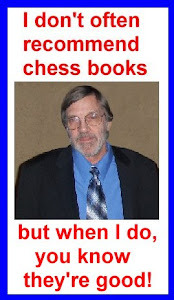 In addition, the last part of the book, 90 pages worth, contain Purdy's games; mostly correspondence games and games against Australian players. The book begins with his life story. And a rare individual he was! Purdy was athletic, a tennis player and runner; he didn't smoke, drink or overeat, avoided stress and refused to worry. Sandwiched in the middle is the really good stuff - almost 190 pages where he explains the most basic concepts in a clear, easy to understand manner. Brief, to the point and highly instructional essays on exchanging, combinations, how to reduce errors, general endgame strategy, play with the pieces, the what he calls ‘play for position after the opening’, planning, a method of thinking, the isolated d-pawn, compensation for a pawn, transposition from the opening to the middlegame, when attack is the best defense, when counterattack is wrong, the two Bishops, Rook against two minor pieces, weak pawns and weak squares, how to avoid traps, the true elements of chess, why a pawn center?, what is position play? and more. There is no useless information; just good instruction in an understandable format. Another great feature is a description of his own system which is a guide on how to figure out a position and avoid blunders. Highly recommended for players up to 2000.